Double the magic by getting both the midnight and lavender, we assure you it looks greater and fuller. 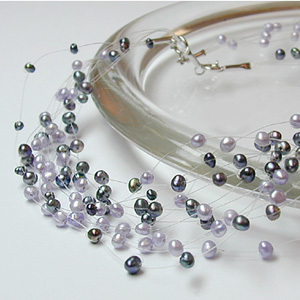 These 3 mm sized freshwater pearls just mysteriously dance around your neck. Glimmers of shine that will reflect on these pearls will make you feel wonderful inside as if something magical will happen. Necklace measures 16 inches in length.